BSE has released the notifications regarding CTET exam 2018. 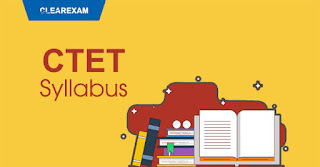 CTET is an teacher eligibility exam to access the qualities of a candidate to serve as a teacher in central schools. The person, who wants to make a career in teaching profession must get this certificate. Important dates regarding CTET exam 2018 are mentioned below. CBSE has decided some eligibility criteria to appear in CTET exam. Mainly two points are considered for a candidate to assess if he/she is eligible to appear in exam or not. Candidate should passed or appearing in final year of Diploma in Elementary Education with 50% marks in Sr. Sec. Candidate should passed or appearing in 2nd yr. of diploma in elementary education with 45% marks in Sr. Sec. Candidate should passed Senior Secondary Education or its equivalent with 50% aggregate in diploma in special education. Qualified or appearing in Bachelor in elementary education (B.El.Ed) with 50% marks in Sr.Sec. Passed or appearing 1-year B.ed (Special education) with 50% marks in B.A/B.sc. Passed or pursuing 4 year B.A/B.sc with 50% marks in Sr. Sec. Development of child at primary and elementary level & how development is related with learning. Difference between assessment for learning and assessment of learning. School based assessment and CCE ( Continuous and comprehensive evaluation). Question formulation to assess readiness, learning and critical thinking of learner in classroom. Discrimination among learners based on caste, creed, gender, religion, colour etc. Access the children's learning pattern and take desired step to overcome the difficulties in learning. Comprehension on two unseen passages and one poem. passage may be narrative, literary, scientific or discursive & multiple choice questions based upon these passages. How the children do excel in these four skills. Natural phenomenon & resources etc.